The unique 3-in-1 Wheel offers top performance in a single disc. 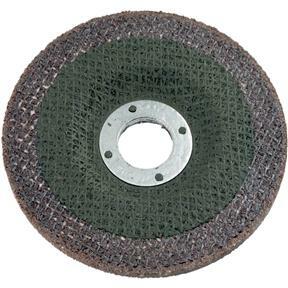 This cost effective wheel eliminates frequent wheel changes and increases production time. Triple fiberglass net reinforcement for added strength and flexibility. Easy grinding and weld removal as well as excellent surface finishing.